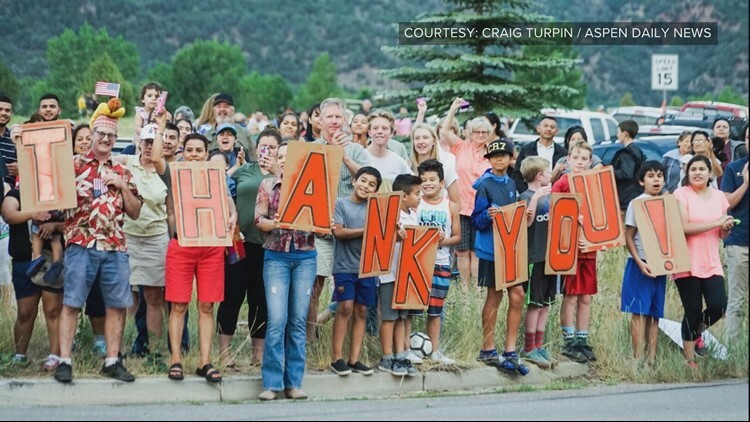 Firefighters battling the Lake Christine Fire arrived back at camp Tuesday night to find hundreds of people ready to thank them. EL JEBEL — After another long, hot day fighting the Lake Christine fire, firefighters returned to the incident command post Tuesday night to find the community waiting for them. 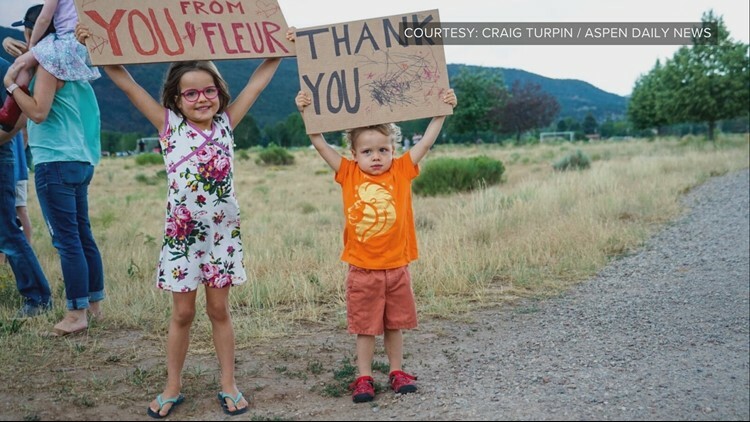 Hundreds of people living in Eagle County got a chance to thank the firefighters that saved their homes. Riegel lives in nearby Basalt. Her home was spared from the fire, but she knows many families who were forced to evacuate. “We have a community here that’s huge and it’s been supportive of everybody,” she said. 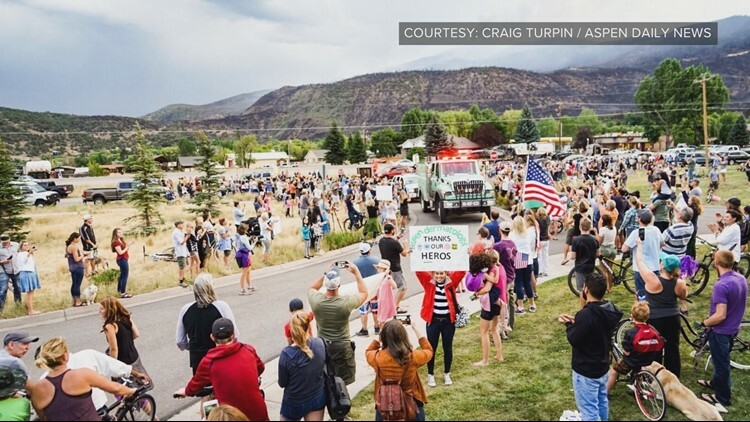 Firefighters arrived back at camp to find hundreds of people cheering for them, holding signs, and ready to shake hands. Many have traveled from out of town to help with the firefighting effort. “A lot of them are volunteers and they just do this, and come from around the country and leave their families and put themselves in jeopardy,” Riegel said. “We were pretty impressed,” said Dana Wilson ahead of the gathering on Tuesday. Wilson is a spokesperson for the Lake Christine Fire Incident Command.